An Earth Quake with a magnitude of about 5.7 in the Richter scale had just struck Northern California today. I quickly ran one of the Twitter mining and sentiment analysis program that I had developed to get various metrics of the sentiment. Tweets Sentiment Vibe!! [Score between -1.0 and 1.0 range] is–: 2%. This software was not run on the cloud, but obviously when I intend to do an sentiment analysis on a larger scale from the twitter fire hose, I plan to use AWS Dynamo DB and Elastic search integrated to my core sentiment analyser software. 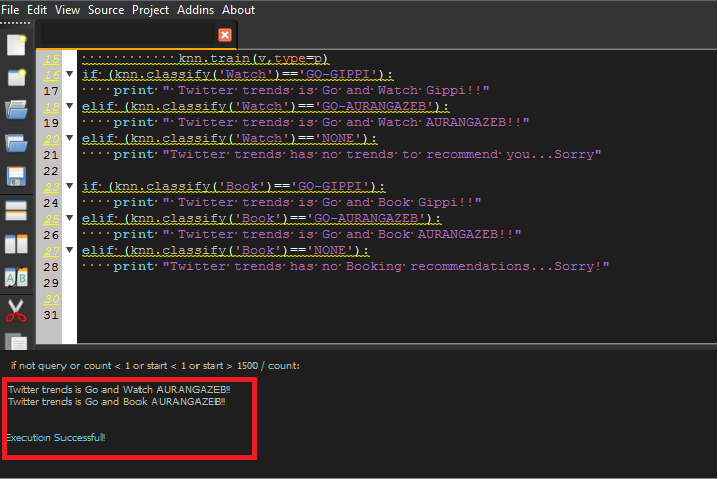 Machine Learning & Twitter Recommendation : Should I Go & Watch Gippy or Aurangazeb Movie?? So, The twitter based recommendation algorithm pointed that I should go and Watch the AURANGAZEB movie!! To my Surprise, From this website , the Box office collections of Aurangazeb movie indicated that it is way higher than Gippi’s nox office collections which is perhaps a direct reflection that the film is doing well and more people go and watch it!! Isnt it? 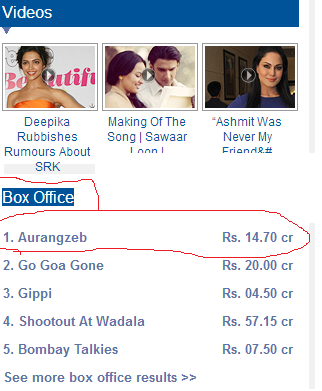 As you can see from the below picture [excerpt of website screenshot], Aurangazeb had grossed Rs 14.7 Cr as against Gippy’s Rs 4.5 Cr. 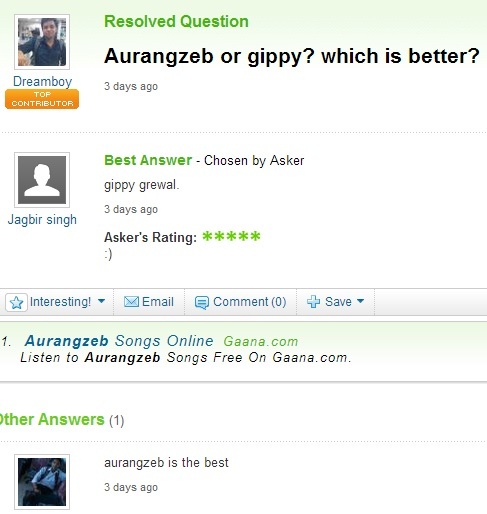 Next I sampled a public recommendation from the yahoo answer website that again pointed to “AURANGAZEB” as the best movie! So from these public information , I validated that my program predicted from the twitter /tweets and recommended to go to “AURANGAZEB” which I am planning to see soon to really check !? As I look for mining large volumes of twitter data and apply it to machine learning algorithms to make complex predictions, I am going to need more storage,RAM and processing power and Cloud will be the right place to make this happen. Obviously Amazon AWS is my choice! 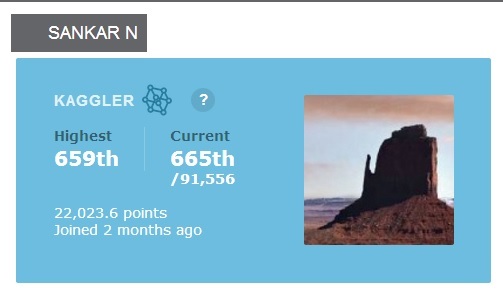 In a matter if two months, I climbed to the top 1% of Kaggle by solving some very interesting problems provided by leading organisations and through applying various Machine learning techniques to Complex data. If you haven’t known about Kaggle, it is a global platform that connects Machine Learning Scientists and Engineers with Organisations that wants to solve their data science problems in the form of competitions. While I do have some exposure in the AI related areas several years ago, I am neither a real Data Scientists holding a Phd or a Post-doc researcher or an Industry Veteran working in the field of Analytics except the fact I have been learning and working on some of the connected areas offlate. When I started at Kaggle initially, I quickly realised that Solving complex machine learning problems in its true sense is not for the weak hearted! and I am one of those in the process of getting stronger over every weekend hacks these days and its been an exciting intellectually rewarding journey! Several times over these weekend pursuits, I had to run algorithms on machines that required very high capacity and I had to do it the lowest cost. Amazon AWS so far has helped me address both these problems with its high memory XL and spot instances combined with the ability to quickly launch different sets of pre-baked machine learning run times through AWS machine images and Cloud-formation deployment. In essence AWS is significantly helping me to leap forward in my data science pursuits. There is a slow and steady proliferation of IP based Video surveillance around the World. Particularly in the US and Europe where advanced wired and wireless broadband IP networks have been rapidly gaining a stronghold . 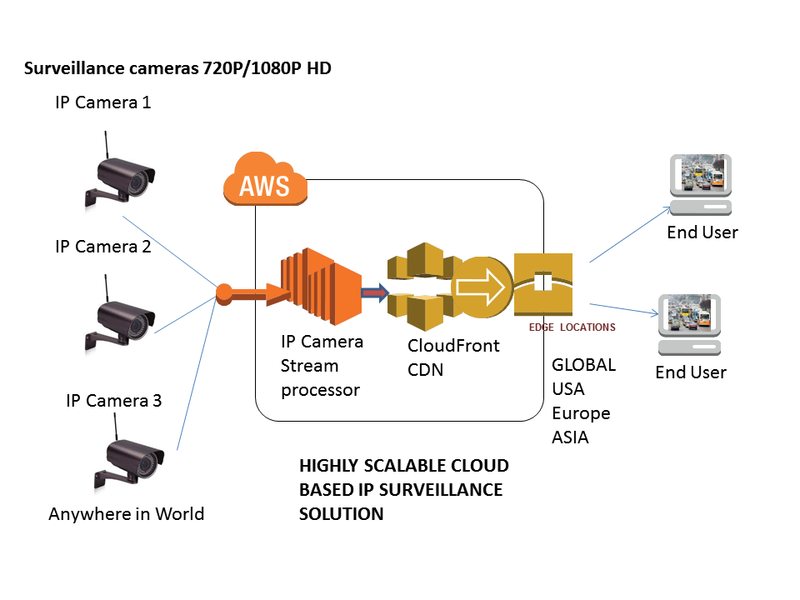 My belief is that the confluence of this IP network proliferation combined with Megapixel High resolution HD Cameras integrated to On-demand Cloud services provides a significant opportunity to create niche IP Video surveillance solutions on the Cloud. I believe , Cloud combined with video software technologies has the potential to become the largest and ‘defacto’ distribution hub for IP Video surveillance data in the days to come. Cloud based storage and content distribution services will bring a paradigm shift in this landscape. The Elastic nature of the Cloud will bring petabyte scale DVRs recording and storing live IP surveillance Video, scalable cloud servers and CDN can broadcast hundreds and thousands of live streams to global consumers for instance…. As a demonstration of this concept, Here is a demo of a solution I created on Amazon AWS cloud. Here is the Live Video of a Demo IP CAM Video in HD format transmitted and distributed from the Cloud in real time! 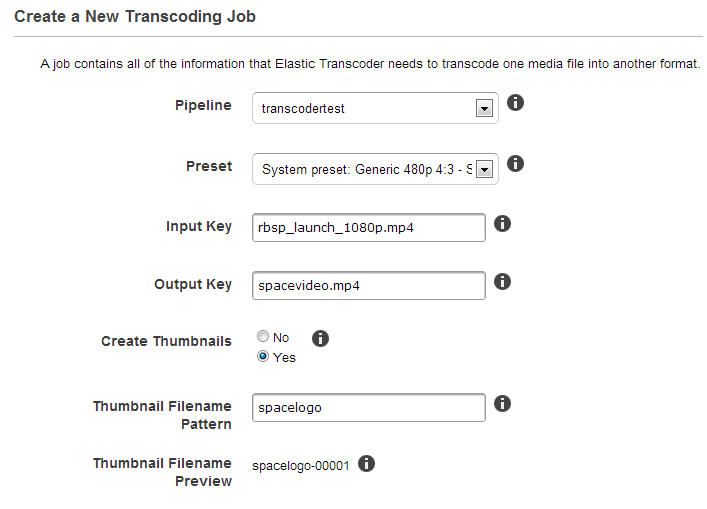 Amazon web services today introduced an Elastic Video Transcoding service. I set out to quickly try a 1080P HD Video transcoding on it. Basically , I got a HD Video transcoded to a 480 P ,SD Video in Mp4(H.264 codec) , and FLV (Flash video format) . Here is how i did it…..
1. 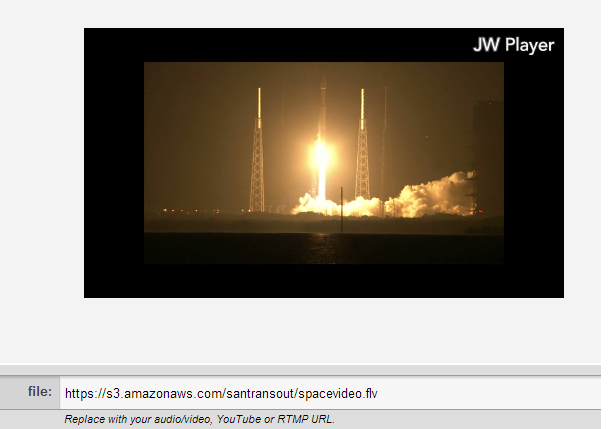 I downloaded a publicly available 1080P HD Video [.mp4] ,~ 500 MB in size of a space launch and uploaded it to one of my AWS S3 Buckets . 9. 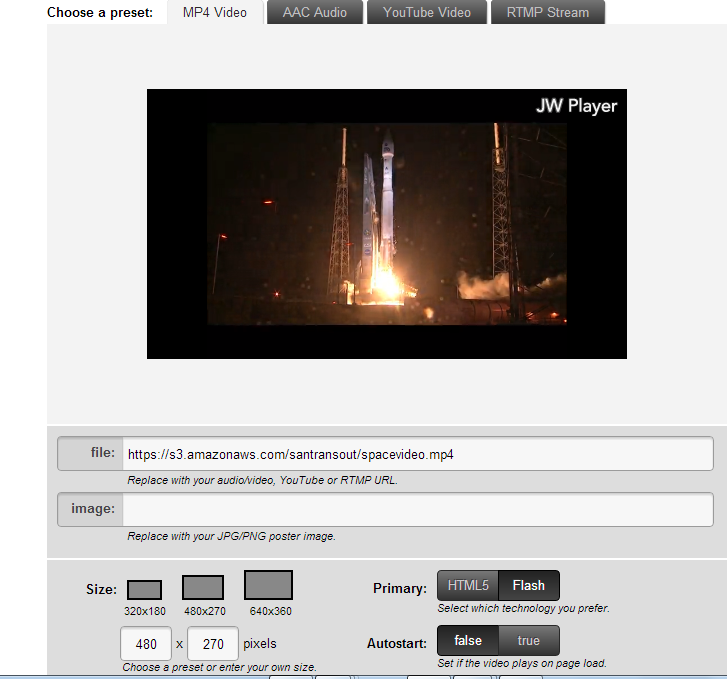 JW Player played the 480P transcoded MP4 and FLV videos of the spacecraft launch with a great outcome without a noticeable loss in quality. I believe it is a great new service by AWS and the pricing at the outset seems to be cheaper than the some of the 3rd party vendors providing similar services. I can only imagine, Amazon has set its sight on the Hollywood studios ! One of the slides I used to see in some of the AWS conferences ,I had attended. I believe it is going to be forth coming. 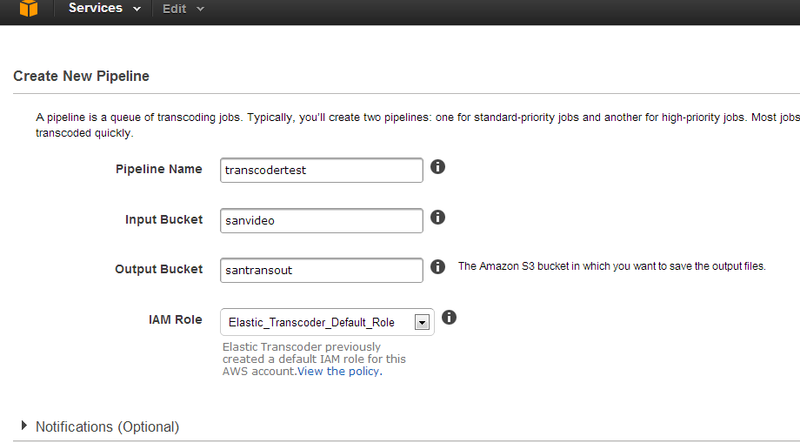 Studios could get thousands of their videos up in to S3 through AWS Import/Export…-:) and get this done fast and cheap. Looks like the cost of video post-production for studios and media companies is drastically going to fall if AWS Elastic transcoding services could be leveraged in a suitable manner. To Sign up with Amazon AWS , All you need is a valid credit card. If you provide the relevant information, you can sign up in a matter of minutes or within an hour. With Softlayer , After you submit the registration , you will have to go through a process with their sales to process your order . You have to submit relevant documents that they ask for. The surprising thing that had happened to me with Softlayer when I had applied for a trial account was, After providing the relevant information, they responded to me saying that they could not process my order because of “Billing inconsistencies” . So, what does “billing inconsistencies” mean? there is no specific information, so I asked them. They said, they are apologizing and that any further thing on this, I have to contact my bank. With any credit card processing today globally, either a vendor says that your card has been accepted or rejected. How would a Bank be able to correlate a generic term such as ” billing consistencies” and associating it with a specific service provider’s order processing, If I were to go and ask them with out any basis or a reference or to a transaction ? As a matter of fact, the credit card that I had registered during the sign up with Softlayer is from an MNC bank and I have been using the same card with different global cloud service providers including amazon and a host of others since many years. I dont have any negative credit rating since many years.Hence there is no reason for me believe that there is a real issue. I had further responded to Softlayer , that there is no specific reason for me to pursue a conversation with my Bank taking an abstract reason given to me with out any specifics. Until now there has been no response . Anyhow, the process of opening a trial account has been significantly overwhelming based on my experience . In contrast to this ,Based on the standard model of on-line purchase through a valid Visa or Master credit card, trying out /purchasing with Amazon AWS Cloud would be a breeze. Amazon AWS also provides a FREE tier to try your application deployments on the cloud or if you have play around with AWS services. Even updating your account information on Amazon takes a few minutes later when your personal information changes. 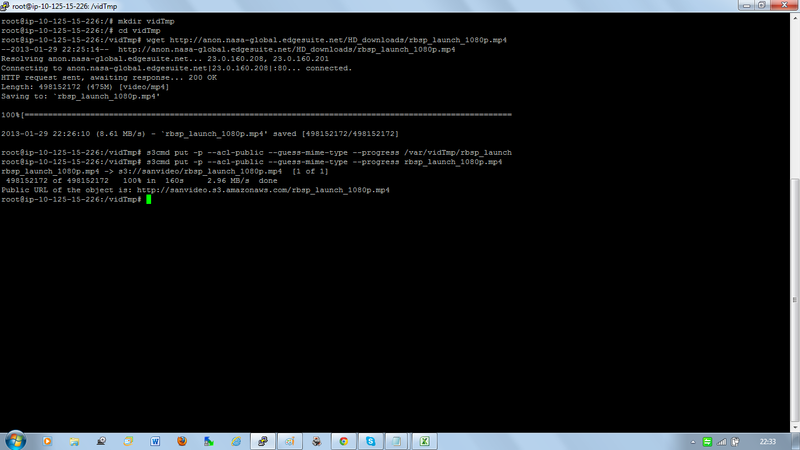 Amazon AWS Cloud is awesome! Go for it! It would be seamless and painless experience to explore your cloud pursuits. OpenNebula released an interesting survey recently reflecting the Cloud computing usage and adoption trends. One the key response was that 58% of the respondents surveyed are running their workloads for non-critical environment or peripheral installations for running testing or development applications, while 42% are using the cloud for running production workloads. This kind of validates the expected trend about which I had blogged in the Yr 2010 ! It makes sense most of the time as non-mission critical or non-value add IT assets which doesn’t contribute to the ROI and/or which has lower risks are first class candidates to be evaluated for cloud migration.